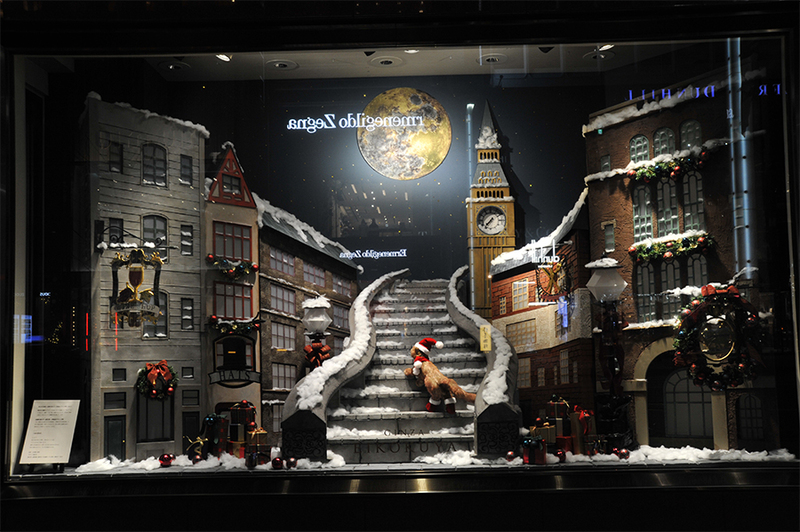 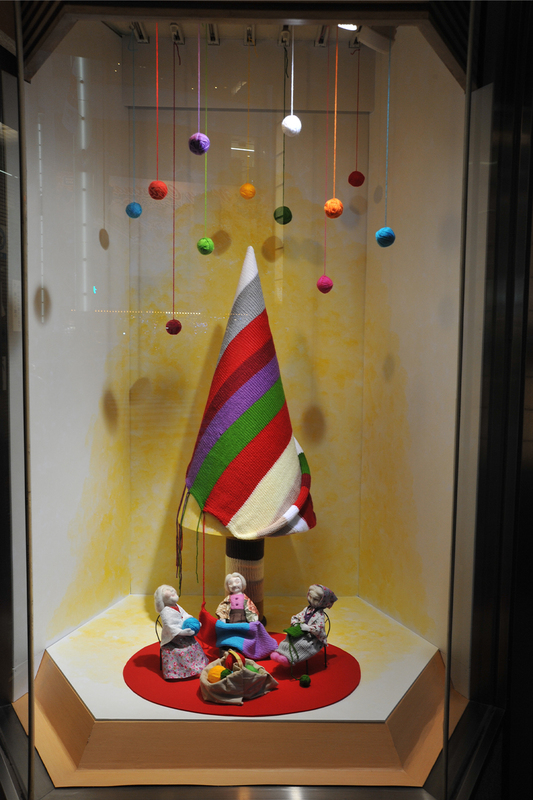 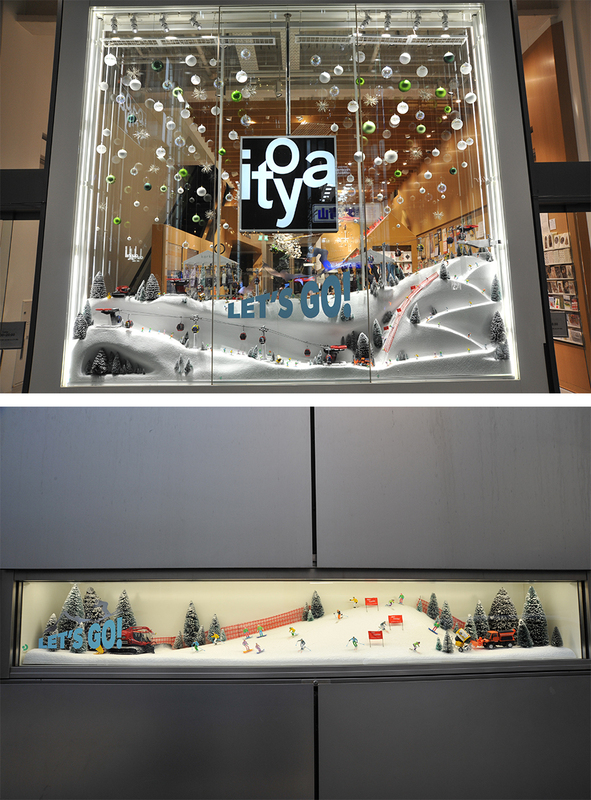 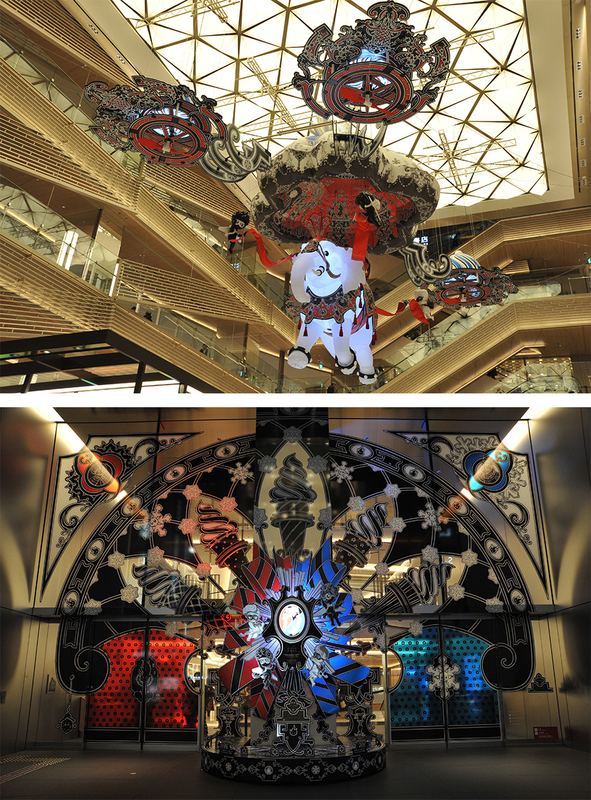 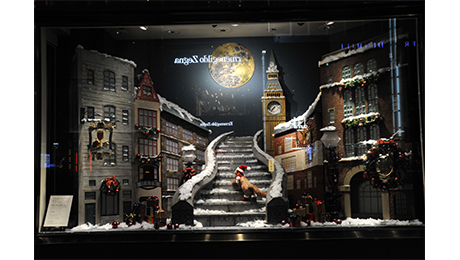 The winners of this year’s Ginza Display Contest have been announced. 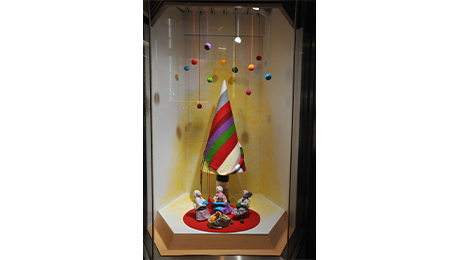 The Ginza Display Contest is an annual event with a history of some 40 years. 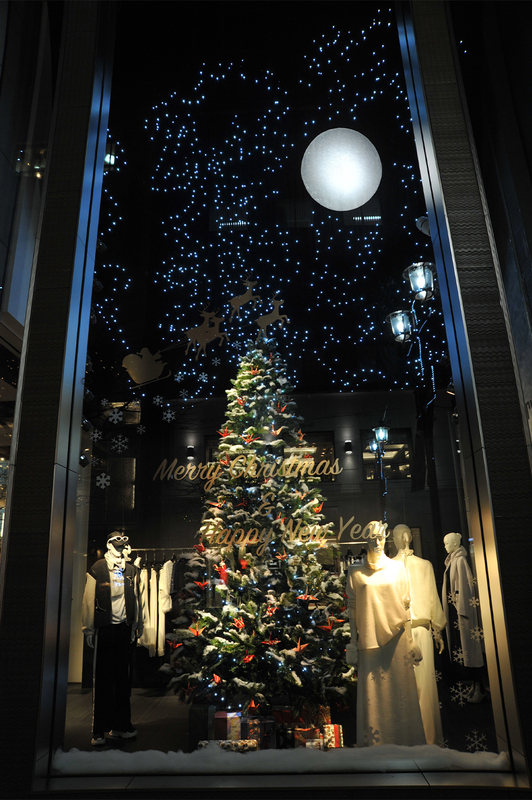 Each year all the shop displays in Ginza are evaluated during the Christmas season when the shop displays are the most spectacular. 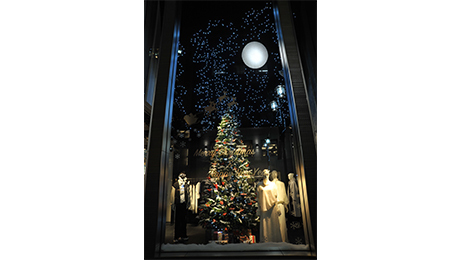 The winning shops will be presented with an award, and we will also be holding an exhibit featuring photographs of their displays. 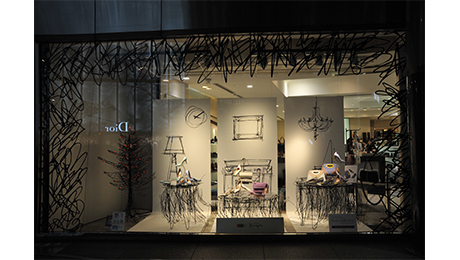 Evaluated by Japan Design Space Association members and the Ginza Street Association Sales Promotion Committee. 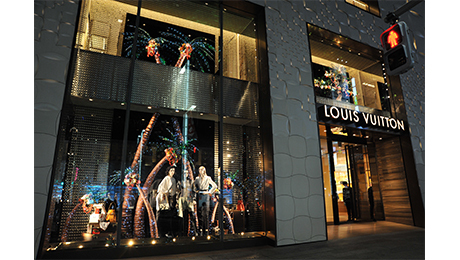 Around 70 shops are nominated for the preliminary screening. 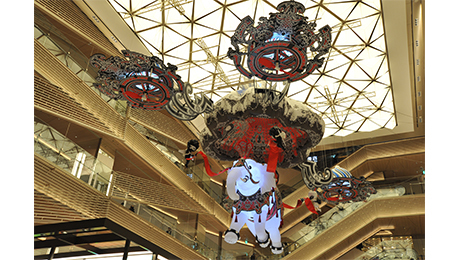 Winners are determined in the final evaluation round. 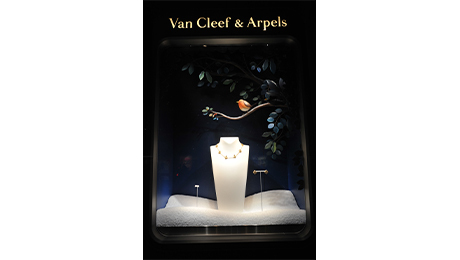 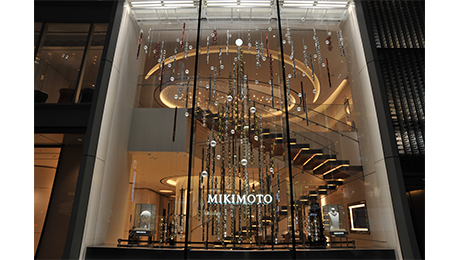 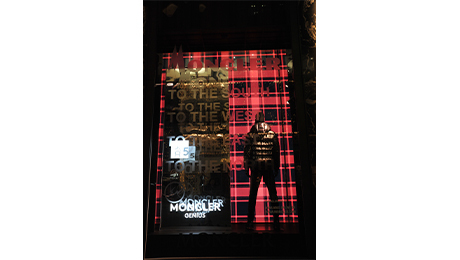 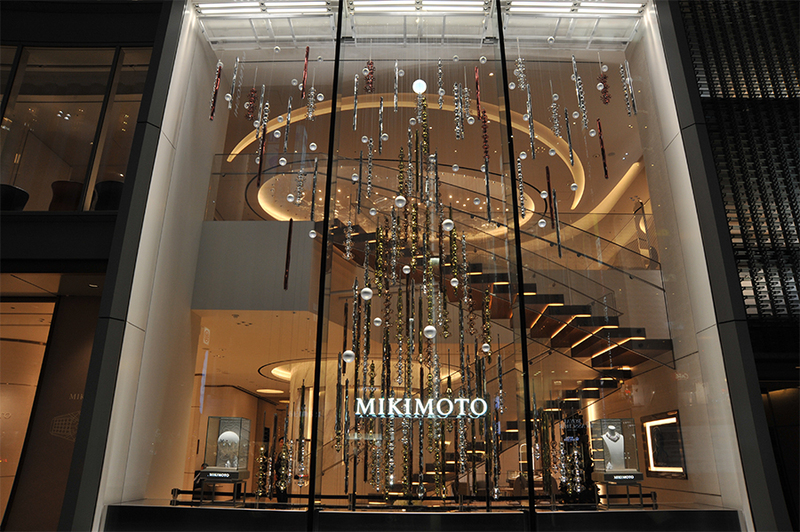 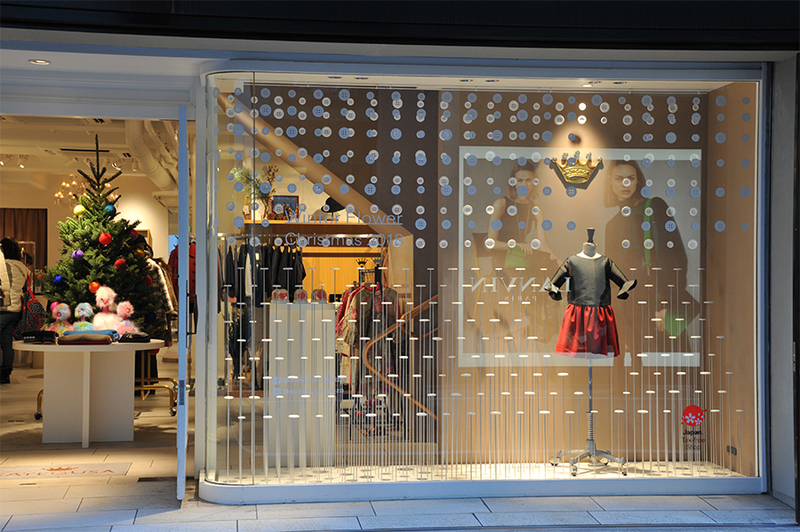 This year, from among the excellent store displays all around Ginza, there were 83 nominations from which the recipients of the several awards were selected. 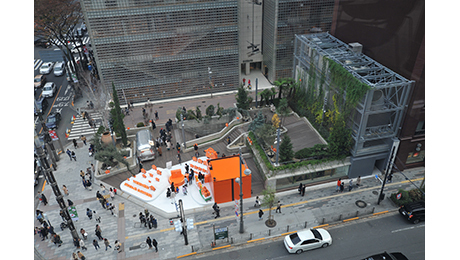 On one hand, the time had come for renewing the roadside trees along Ginza Main Street, and the view along Main Street felt a little more barren than in other years. 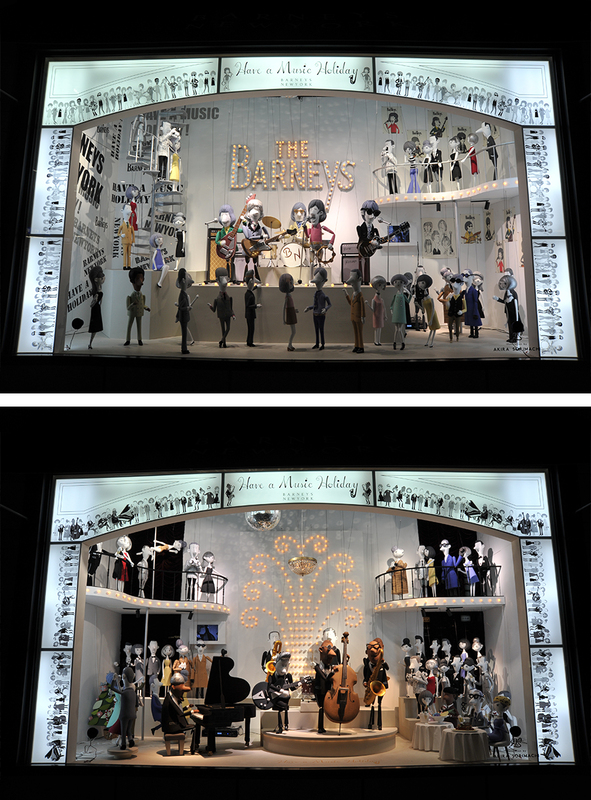 On the other hand, powerfully expressive store displays were seen throughout the district. 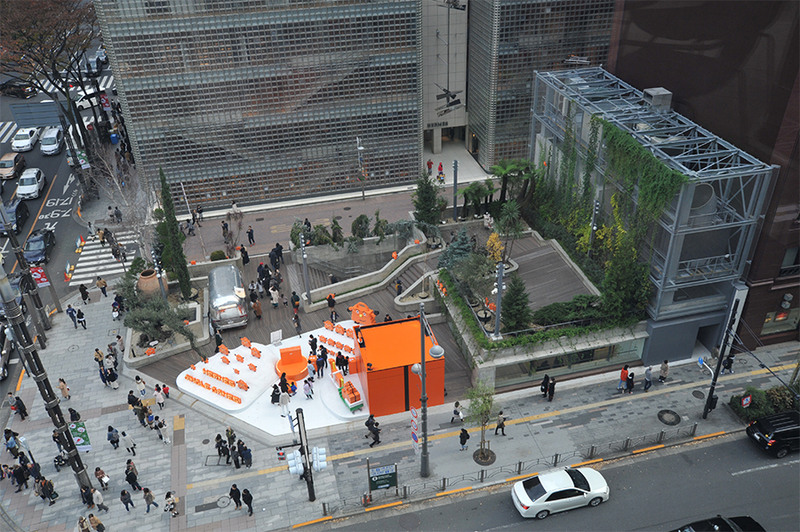 Ginza Sony Park provided a new open plaza for people to pass through or congregate on the corner of Harumi Dori and Sotobori Dori. 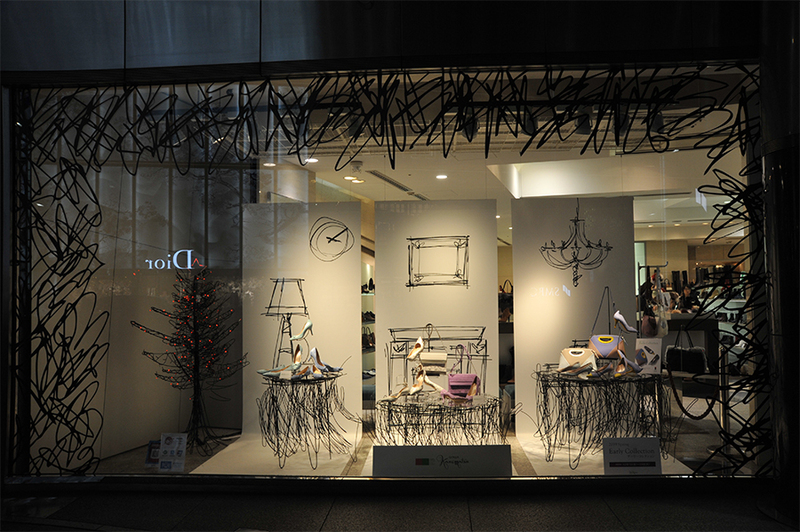 Ginza Six presented displays where AR (augmented reality) technologies can be enjoyed. 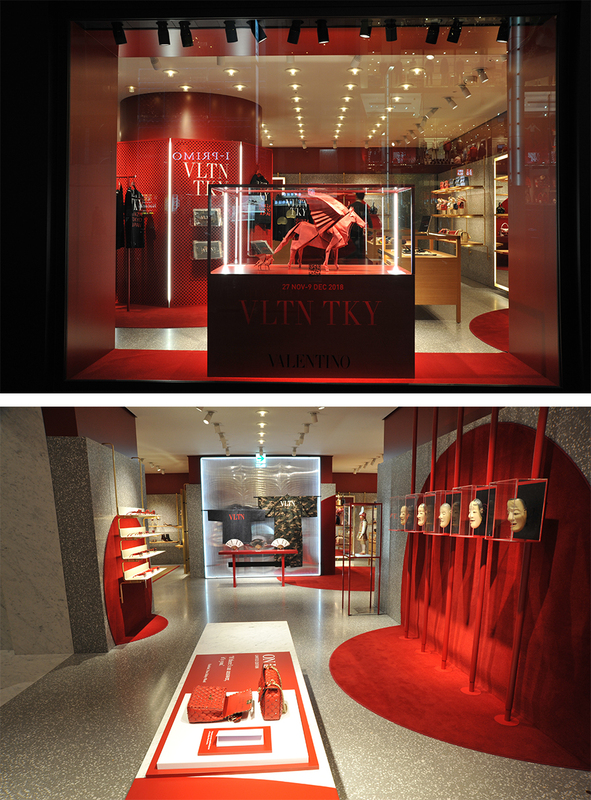 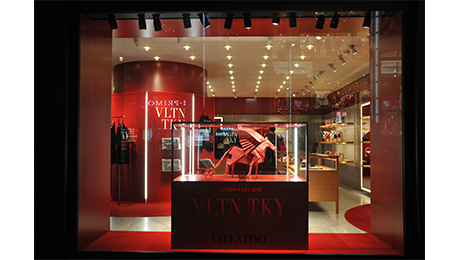 Valentino Ginza created an out-of-the-ordinary visitor space reminiscent of a small museum of fashion and art. 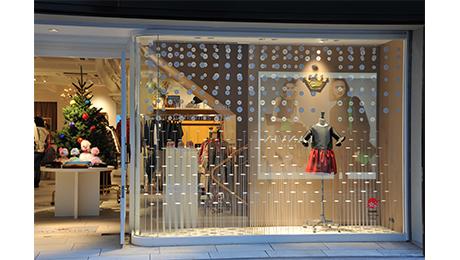 Motifs showing the playful heart — live performances, games, dolls, robot toys, parties, animals, and such — were seen at many of the brand stores and larger shops, directly communicating the sense of fun. 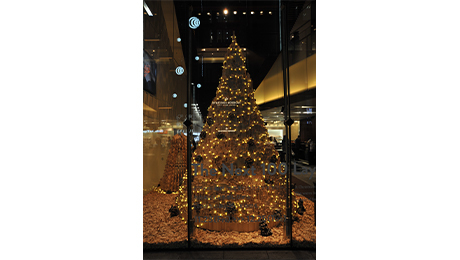 Yamaha constructed a tree out of the wood pieces leftover from the process of manufacturing their pianos. 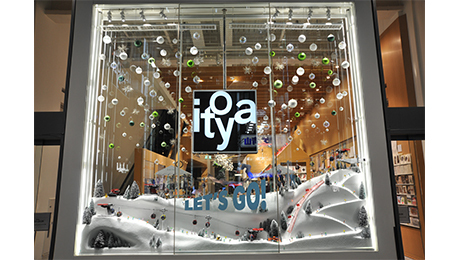 As Ginza Eikokuya showed their Britishness, each store was demonstrating the unique nature of its origins. 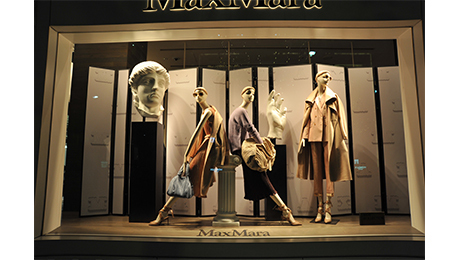 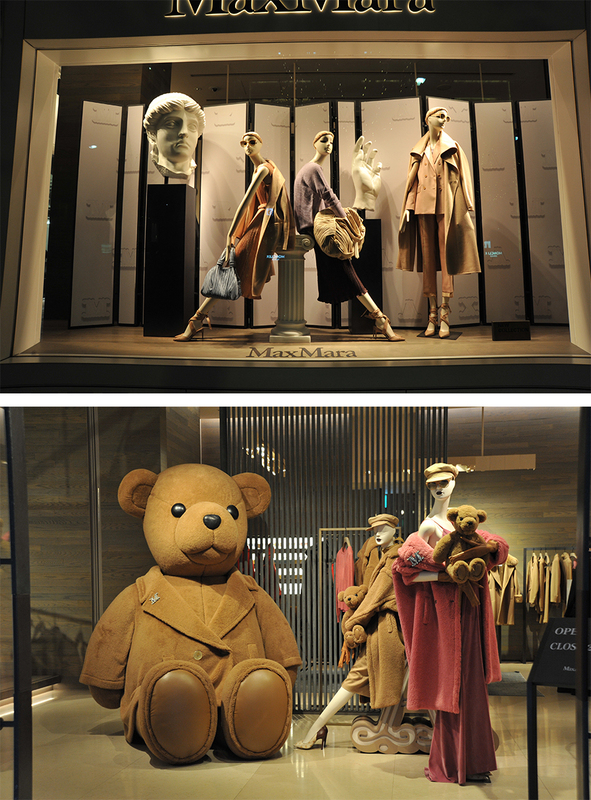 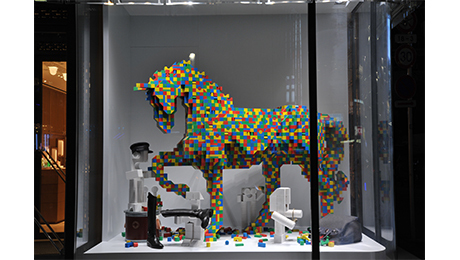 And then there was Ginza Kanematsu, capturing the essence of store display. 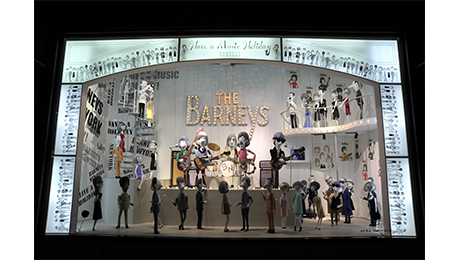 Displays with dynamic presentations and stories were seen everywhere, generating buzz throughout the city. 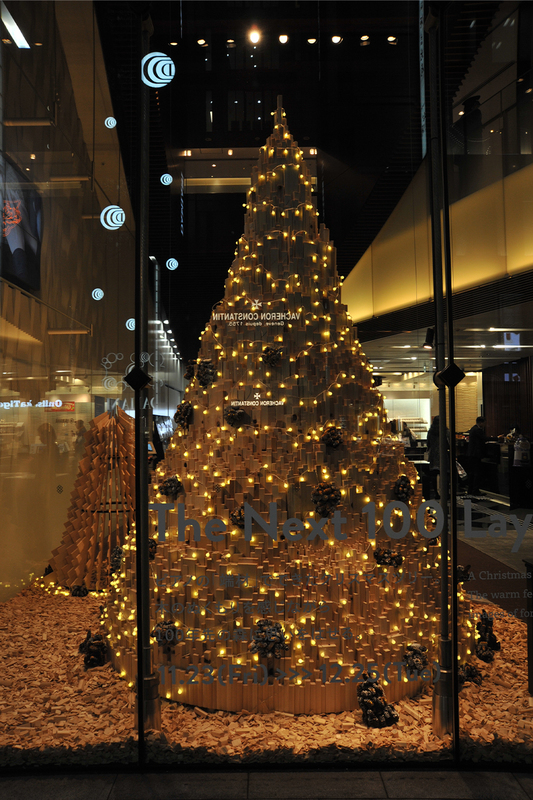 And it didn’t stop there. 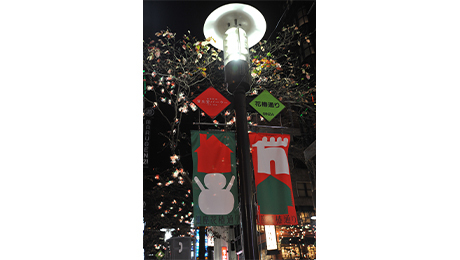 It spread in other ways, such as new designs in the illuminations on Hanatsubaki Dori, and the 6-chome area reactivation activities pursued on Namiki Dori. 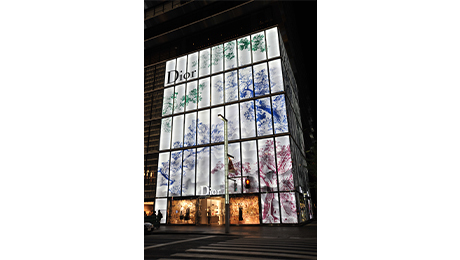 The city was illuminated everywhere by the variety of visitor spaces of high-quality design, brimming with the pleasure of the theatrical, inducing visitors to wander throughout Ginza. 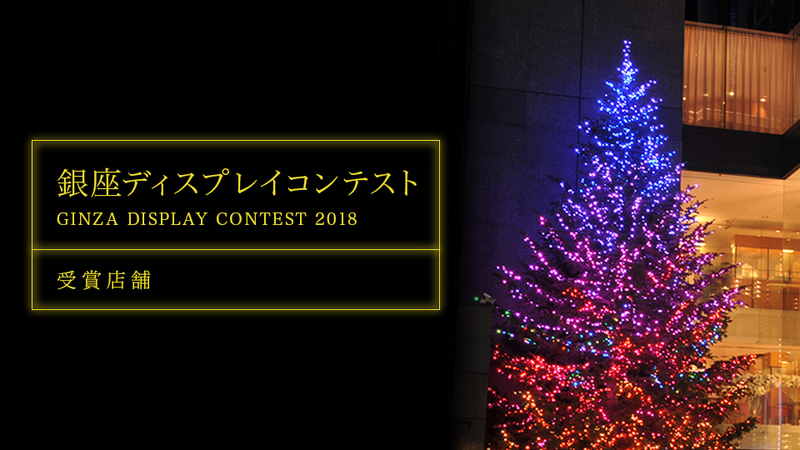 Visitors posted pictures of the displays they found interesting or attractive via SNS, widening the influence of the contest and bringing in more crowds. 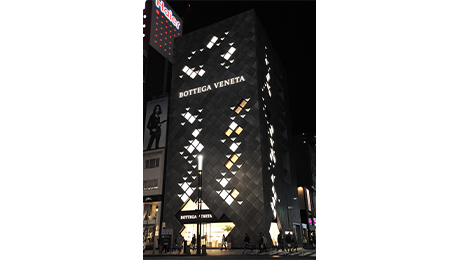 Although this is the era in which a city’s ability to express itself is augmented by new technology, the magic of Ginza is its omotenashi, its ability to welcome and engage visitors by established stores, inherited unchanged from the past. 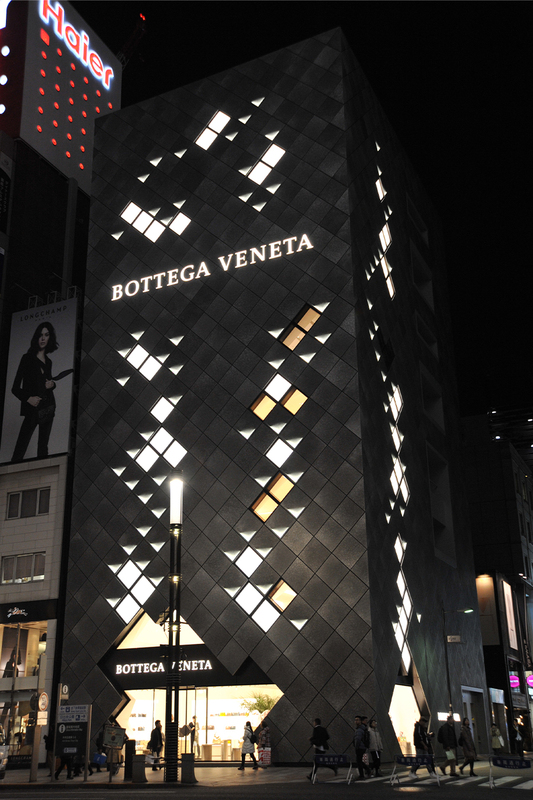 Even as times change, we have confidence that Ginza will retain its own style, including the ability to design visitor spaces.